A few days before we arrived in Rio, international headlines erupted about the Brazillian army storming one of Rio’s largest favelas (slums), Rocinha. 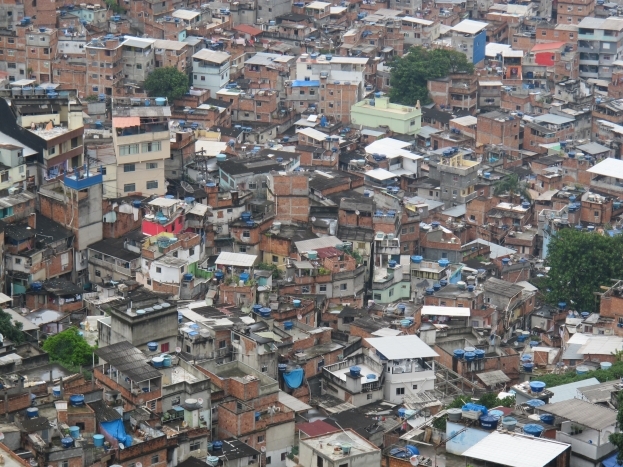 With the city scheduled to host the 2016 Olympics and the 2014 World Cup, the government announced they would “occupy” the favela and kick out the drug lords who control it. For a moment we wondered whether it would be safe to go. Previous government favela invasions had lead to armed shoot-outs – we didn’t want to get caught up in that. But after monitoring the media and talking to other travellers who had just left Rio, we decided we’d go. It turned out the “occupation” went smoothly and the city was so calm that we were able to sign up for a tour of the Rocinha favela with resident Zezinho. He was born in the favela and has been running guided tours for the past five years. He’s half-American but his heart well and truly belongs in Rocinha. “Why would I want to live anywhere else?” he repeated throughout the day, explaining that Rocinha has a deep community spirit, affordable rent and some of the best views in Rio. 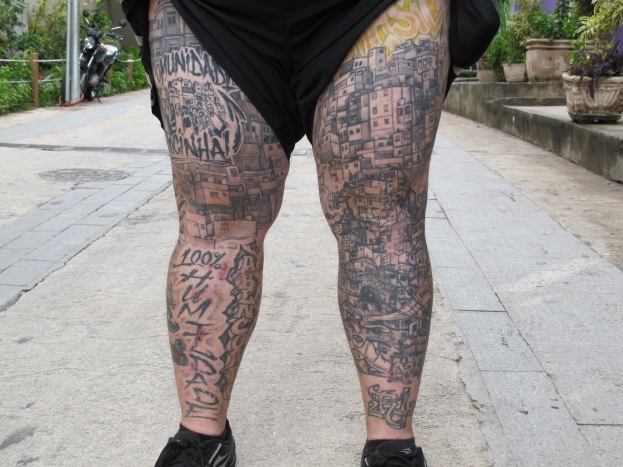 Zezinho’s body was covered in tattoos of the favela – further evidence of his passion for his town. 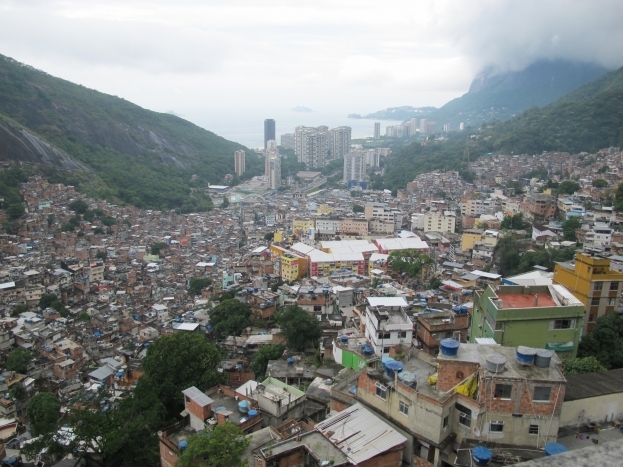 Unlike many other favelas in Latin America, Rocinha is highly urbanised and most houses are built from concrete. The residents have built their homes against the curve of the mountain. Each home has water tanks that get filled each week, which forces them to conserve water so it lasts until the next refill. 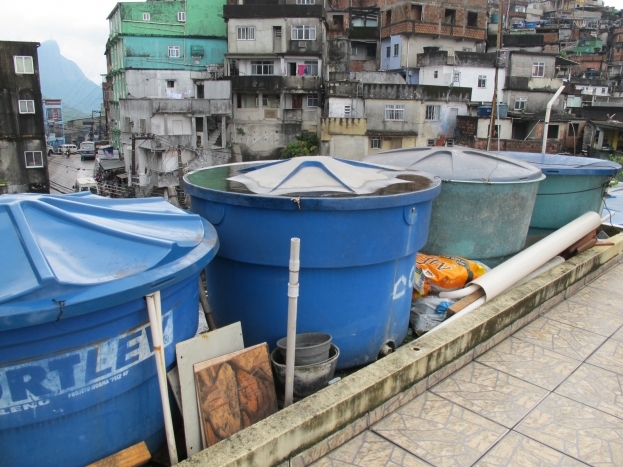 Like most favelas, Rocinha was under the control of criminal gangs who fund infastructure and medical facilities for the residents who, until the occupation, had been all but forgotten by the governments. It will be interesting to see what happens now that the drug lords have (supposedly) been eradicated and the government plans to supply services to the community. The greatest thing about the tour was that it showed the favela people for what they were – hard-working, friendly Brazilians who want the same thing as all of us: equal opportunity.